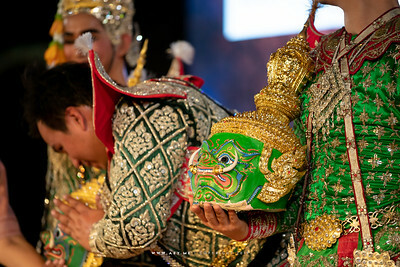 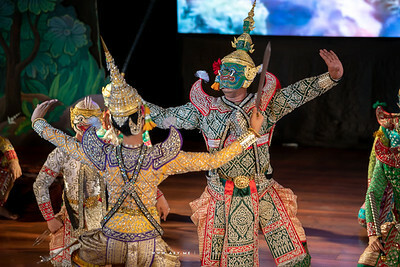 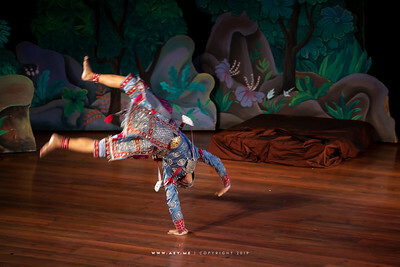 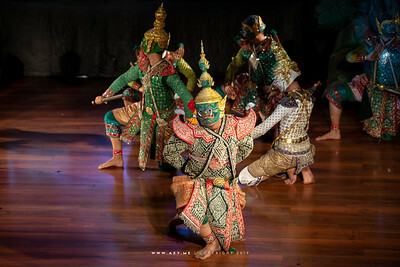 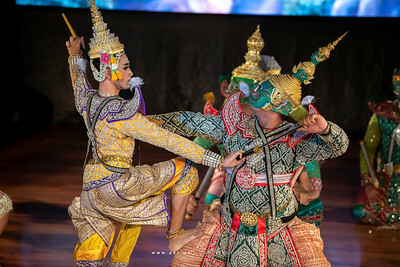 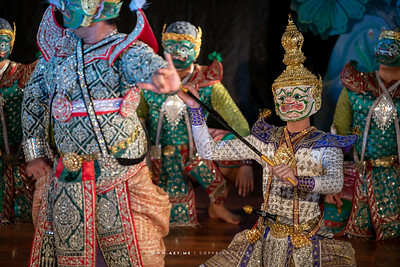 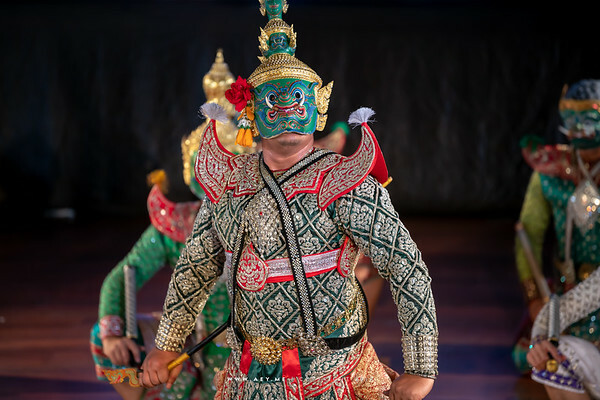 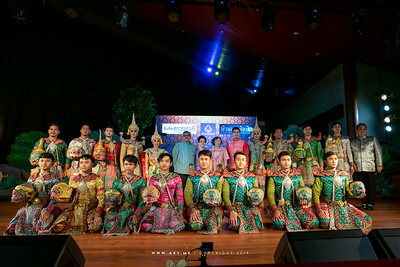 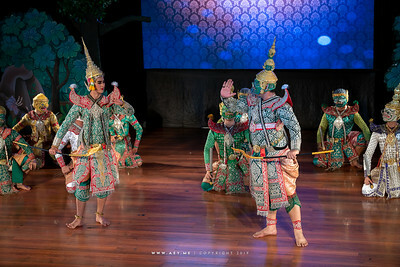 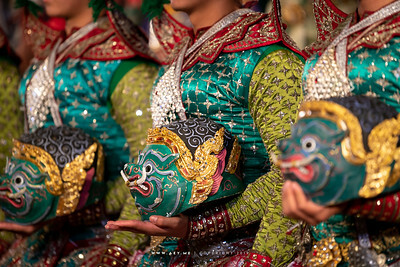 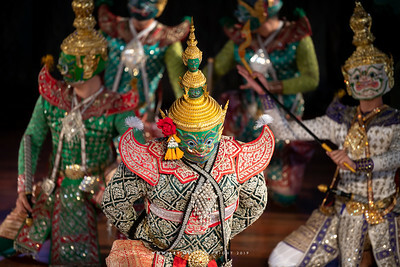 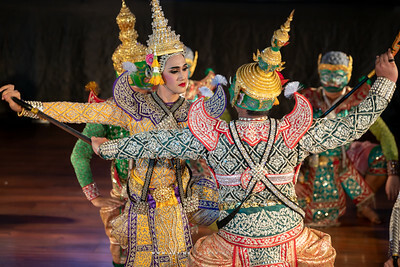 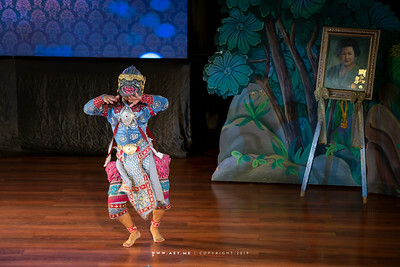 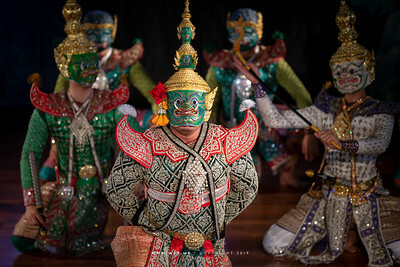 Khon Performance "Hanuman Presents the Ring"
๒ มี.ค. 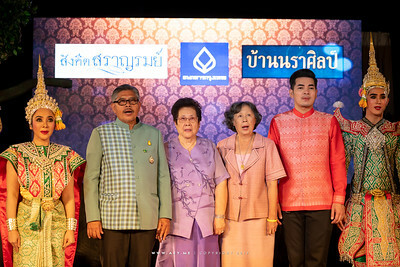 ๒๕๖๒ ที่สถาบันคึกฤทธิ์ ซอยสาทร ๑ ถนนสาทร รายการสังคีตสราญรมย์ โดยศูนย์สังคีตศิลป์ ธนาคารกรุงเทพ เสนอ การแสดงโขน เรื่อง รามเกียรติ์ ตอน หนุมานถวายแหวน โดยบ้านนราศิลป์ March 2, 2019 at Kukrit Institute, Soi Sathon 1, Sathon Road: Sangkeet Saranrom Show by the Bangkok Bank Musical Arts Centre presents a Khon performance in the story of Ramayana, "Hanuman Presents the Ring" by Baan Narasilpa. 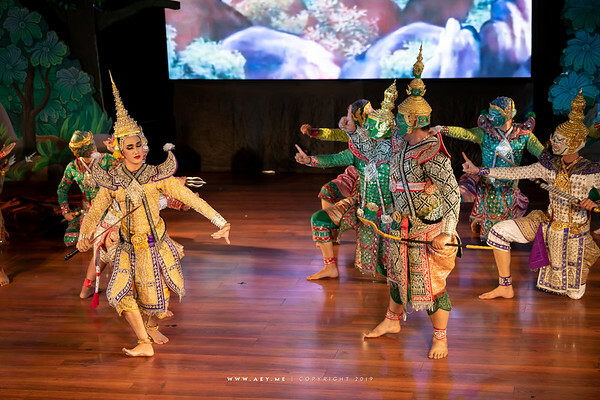 Synopsis: Sent on an arduous mission to find Sita, who has been abducted by demon king Ravana, Hanuman finally locates her in one of the gardens of Ravana's palace. 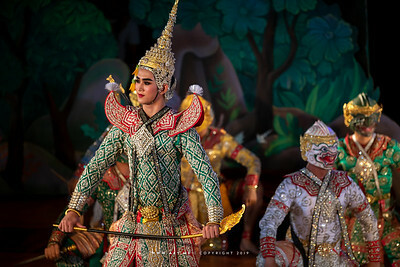 To identify himself as Rama's soldier, the white monkey has brought Sita's ring, which Ravana used to kill the bird Jatayu who tried to thwart her abduction. 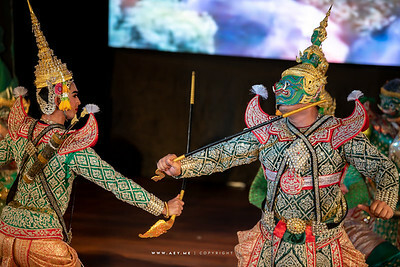 Ravana, Khon performance "Hanuman Presents the Ring"
The Fight of Lakshmana and Ravana, Khon performance "Hanuman Presents the Ring"